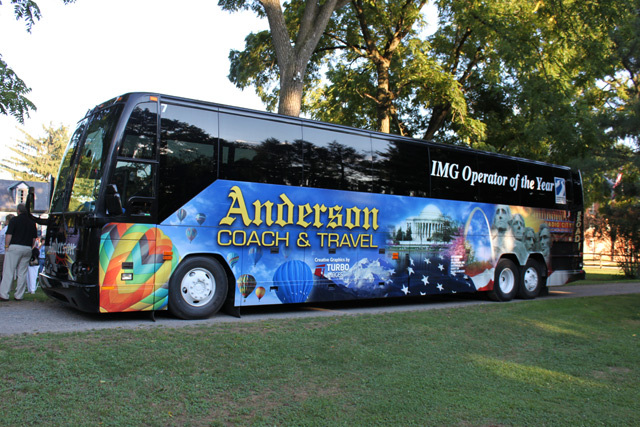 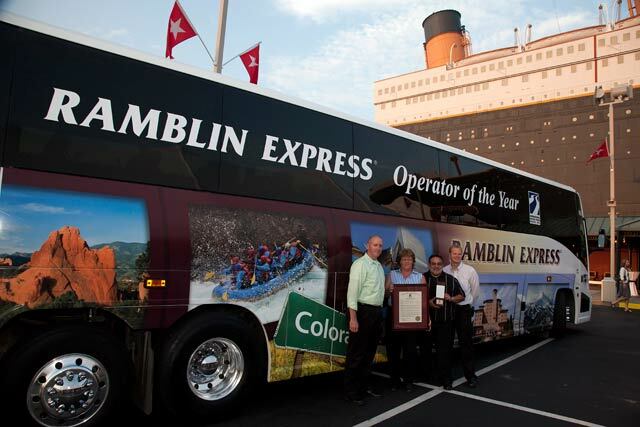 Every year, IMG operators honor one of their own, by awarding one IMG motorcoach company the prestigious accolade of: Operator of the Year. 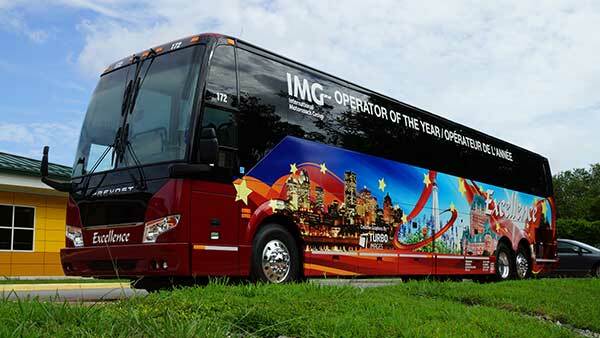 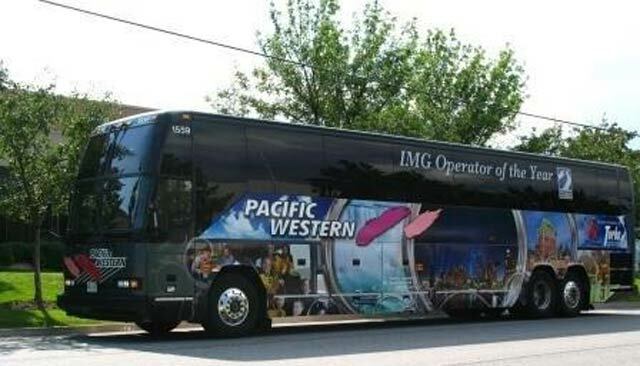 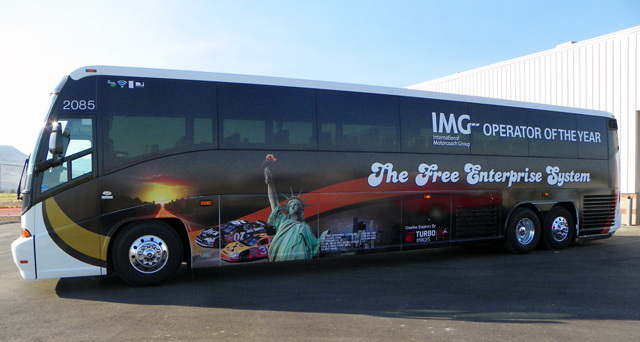 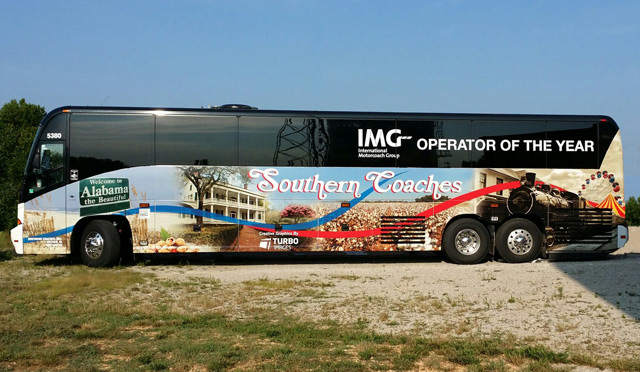 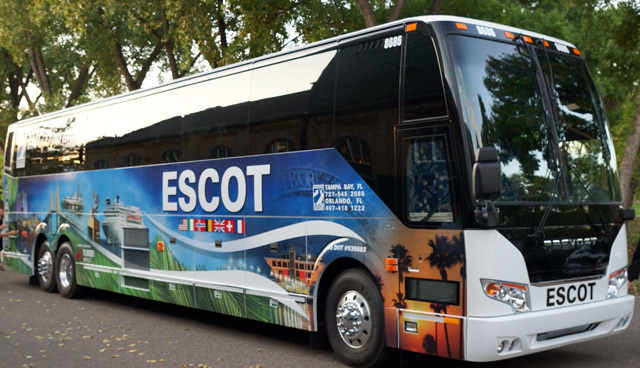 In selecting the Operator of the Year, IMG operators nominate companies that they believe represent the core values of IMG - customer service excellence, commitment to safety, maintenance and training plus participate actively not only in IMG but the wider motorcoach industry. 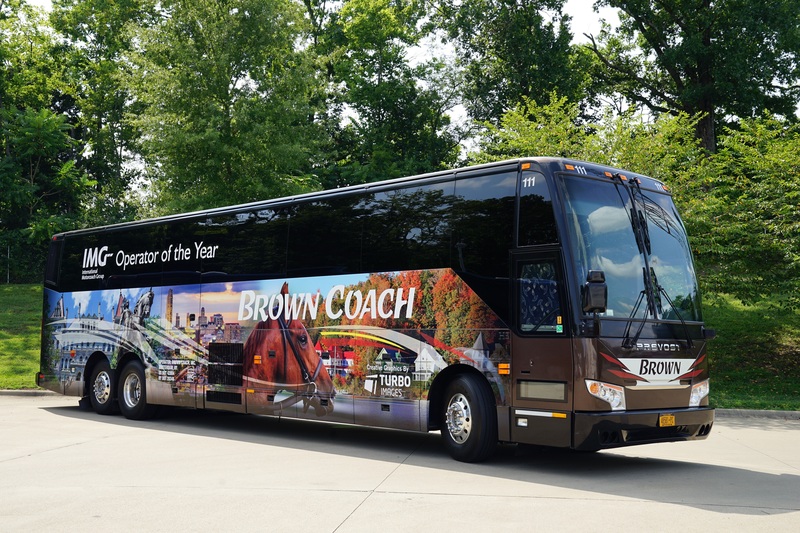 Those nominated, go to smaller panel that consists of the past 3 year's recipients of Operator of the Year who make the ultimate decision. 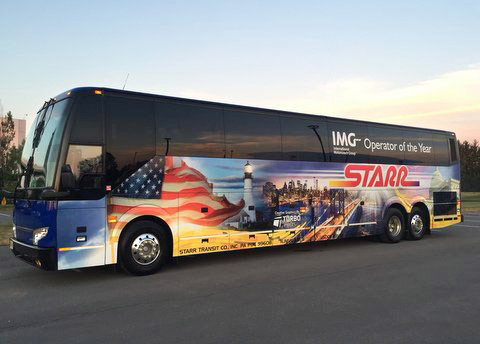 Working with our partners at Turbo Images, a very unique motorcoach design, embracing signature travel images from the region, is unveiled at the Awards Dinner at the annual Strategic Alliance Meeting.